Work of consummate perfume-maker, this floral oolong is famous for her sweet, honeyed taste and exquisite, long-lasting fragrance. 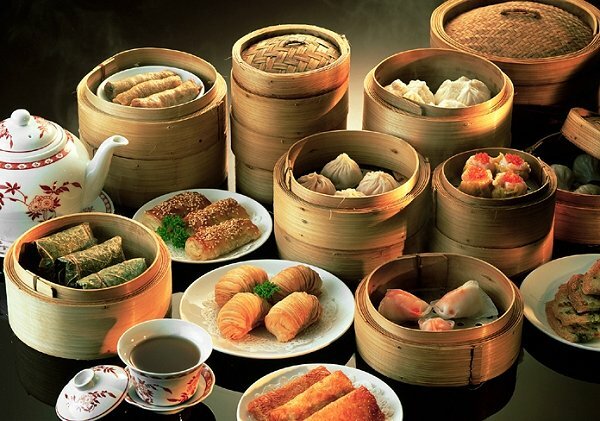 If you are regular visitor to a Chinatown, you probably are aware of dimsum - a delicious Chinese food served out in small plates like the Spanish tapas over lunch time. Unknown to many Chinese people, the Cantonese also have another specialty: tea! Visit the cosmopolitan cities of Hong Kong, Guangzhou and Shenzhen and discover the Cantonese love for all things tea. "Morning tea" is a way of life. There is a local saying that if you don't drink tea, you can forget about doing business in Guangdong province! The Cantonese people, especially those from the tea-growing region of Chaozhou, are also ingenious oolong tea drinkers. 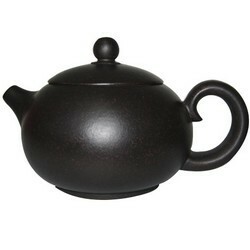 They perfect the art of gongfu tea ceremony using Yixing tea pot - known in China as the Chaozhou Gongfu Style. They also invented a very special tea, which forms one of the four main schools of Chinese oolong tea: Phoenix Dancong oolong. 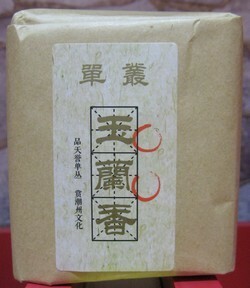 In China, Phoenix oolong is known as Fenghuang Dancong. The name can be translated as Phoenix Single Bush tea. 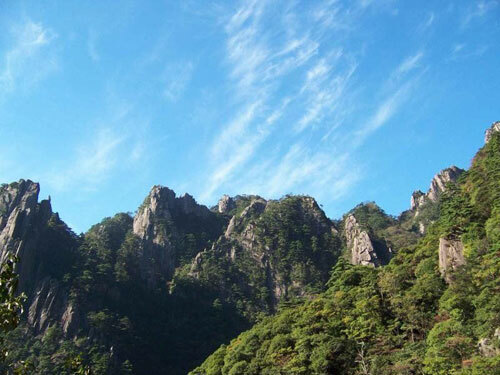 Phoenix refers to the Phoenix Mountain, the birthplace of this oolong tea, where tea trees grow in the altitude of 1,000 meters. Growing in high altitude gives Phoenix oolong a unique "high mountain" flavor. This is the reason why she is famed for her sweet, honeyed taste and exquisite, floral fragrance. 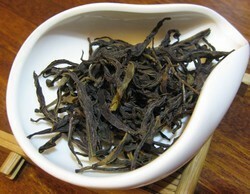 Phoenix oolong also has another special quality: her very sophisticated and pure fragrance. The secret lies in her name: Single Bush. The Cantonese not only perfected the art of tea ceremony, they are also consummate tea cultivators. For more than 100 years, they have meticulously observed and selected the best tea trees for cultivation. Passing from fathers to sons, the result is the Phoenix oolong tea, which now boosts 80 varieties. Because the Cantonese have insisted on cultivating tea trees using one tea tree at a time, the tea is called Single Bush. This extraordinary technique results in each tea tree having very pure genealogy, with its own fragrance, style and taste. She has the purest and most sophisticated fragrances. There are as many as 10 broad types. In the next tab, we will introduce to you my favorite: the Yulan Xiang (Magnolia Fragrance). A most impressive of Chinese oolong, I can't help being overwhelmed by the quality and value she offers. During my testing, she infuses up to nine times. I can even feel her in palate all day long! The tea is medium oxidized and lightly roasted, and retains the best of floral oolong tea. The fragrance is of the magnolia type. The tea liquor is a light yellow and tastes sweet and honeyed. I would rate it 4.5 (reserving the rating 5 for future quality improvements - ). The water in Denmark in general is of very high quality â€“ all tap water is drinking water â€“ but of course its characteristics vary; for instance, I find the water of NW Zealand (Odsherred) to be the best I have yet tasted. In the Copenhagen area tap water is very hard, in contrast to e.g. the woodlands of Sweden where the water is soft and rich in iron (in the lakes it sometimes looks like cola! ), making it quite difficult to brew tea. In Tuscany your Fenghuang was the only tea that tasted well, out of half a dozen teas. In Southern France it also yielded fragrant cups. I purchased this tea as a gift for my wife. Being oriental, she drinks a lot of tea. Definitely better than any store bought tea we have tasted. She has tea every day, but the quality really stood out when she had it with sushi we order two or three times a month. I also like the fact I can get more than one yield per serving & because of the quality you can adjust the strength of each cup by increasing or decreasing the yield time of each pot. If I did not live off my disability I would definitely be trying a lot more of your teas. My wife is oriental and love Jasmine & Oolong tea. I make a lot of it for her. I myself have tried it as well. I prefer black tea and some times a nice green tea. The tea I purchased is distinctly better than any store bought tea we have purchased. I live off my disability, but as a gift for my wife, it is worth the price. IÂ´m tea enthusiast for more than 15 years. The tea satisfy me very well - in other words it is great. From time to time I buy tea which looks like rare one. Thanks you for your care. Highly recommend this high quality tea for everyday drinking. Another smooth exciting tea to savor it's exceptional taste! Phoenix oolong tea's flavor sits between the Iron Goddess tea and Wuyi tea. She is slightly more oxidized and roasted than the Iron Goddess tea, but less so than the Wuyi tea.